Added 2/15/2014 Scene 24, cut 8. Freed from Hijiri’s influence, Maron returns to her normally canny self, and decides to transform into her Jeanne self to investigate the matter further by herself. 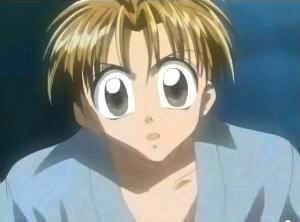 Meanwhile, the conflicted Zen has gone outside the hospital to gaze at the moon. Though demon-ridden, he cannot give up his desire to fly in some way, and he gives in to this emotion by launching a paper airplane at the moon. Then, to his astonishment, Jeanne appears out of the sky, catches the paper plane, and returns it to him with a smile. 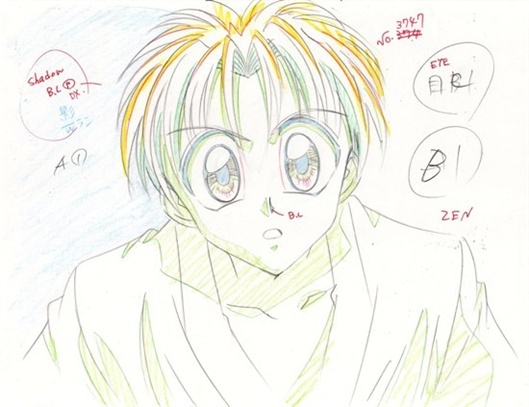 The genga is featured above, but this guest character obviously struck a chord with the animation director, as his sketches show a lot of loving attention. 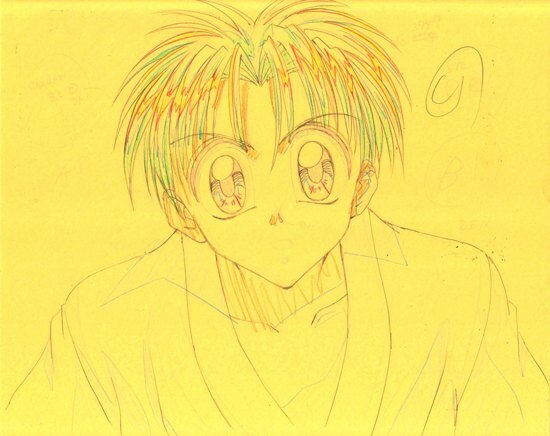 See Sugai’s rough in the first thumbnail, which is already an impressive image. 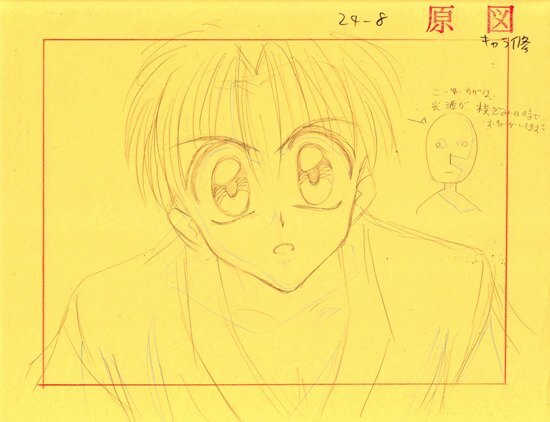 Then move to the shuusei genga in the second, where the animator has practically redrawn the character, refining virtually every detail. Note especially how the hair and the eyes are drawn with razor-precise lines.